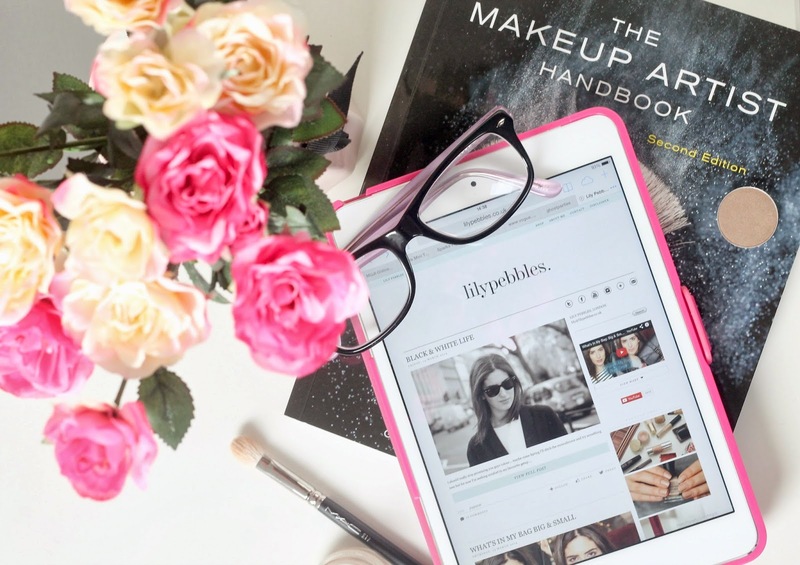 Reading beauty blogs and different beauty books is a massive hobby that I love, I gain a lot of inspiration which then helps me to write and style my own blog. Today I’m going to share with you a few of my favourite reads that I just can’t go a day without checking up on. Lily is a beauty blogger with the occasional style and lifestyle post. I love reading Lily’s blog, her writing style is so easy to read and casual. Her photographs are gorgeous and I just love seeing what she gets up to around London. Lily also makes YouTube videos which are equally as pleasurable as her blog. She updates daily, which is a massive commitment when blogging. I just love sitting down at the end of the week with a cup of tea in one hand and Lily’s blog in another, catching up on her week of posts. Anna from Vivianna Does Makeup is one of my all time favourite bloggers. If she recommends anything, it automatically goes to the top of my want list. She just knows what us gals want. She also -like Lily- makes YouTube videos which are so easy to watch. She has perfected her style of photography, which makes reading her posts much more enjoyable. I can’t go a day without checking my bloglovin feed for a new VDM post. Suzie, from Hello October writes amazing reviews. From new launches to old favourites, the girl knows how to sell a product. -Lets just say i’m saving up to buy the Dior Light boosting primer after reading her review. NEED!- Suzie spoils us with her fashion and style posts, as well as beauty reviews and hauls with a side of lifestyle. The girls got everything covered. Again her photography is always flawless and each post has a unique style which I love. I started following Kate on Instagram a while ago when I just happened to stumble across her feed and ever since then i’ve been hooked on to reading her blog. She has recently just come back from a few days away in Paris and wow. Her photography is stunning, I went last summer and her posts just make me want to go back. Kate also runs a beauty magazine style blog called Nouvelle Daily, which I mentioned in my ‘Insta Edit post’. How she manages to update daily on Gh0st Parties AND on Nouvelle shocks me. She must be wonder women. Tanya is a makeup artist who used to do freelance work but now focus’ on her YouTube channel and blog. Tanya makes stunning makeup tutorials on YouTube, with the occasional style and lifestyle video. I’ve been reading Tanya’s blog for a while now and I throughly enjoy every post she writes, it’s very casual and relaxing to read. I love her post about her Mac Pro Palette, I always go back to that when I’m looking to buy some new Mac Shadows. Although Tanya is focused on makeup she does have the odd fashion post, Tanya attends London Fashion Week every year and it’s always my favourite when she feedbacks on the styles, trends and best looks from the previous shows. Tanya has also released her new #TanyaLipsAndNails, with 12 stunning lip glosses and 10 nail polishes. (I need to try these asap). Last but by no means least, is not a blogger but an actual book. The Makeup Artist Handbook Second Edition by Davis Hall. My sister got me this for christmas and I have been loving it recently, It has 12 chapters plus a few extras, each chapter contains a lot of in depth information about each chosen topic. The 12 topics: Shapes, The Body, Colour, Lighting, Technology, Foundations, Beauty and Basics, Design, Hair, Airbrush, Effects, How To Be A Pro. This book teaches you the techniques you need to know to be a makeup artist for Film, TV, Photography and Theatre. Its an all round amazing book with so much information it can be hard to take in. But so worth it. I hope you’ve enjoyed this post, I just wanted to share with you a few of my favourite all time bloggers and I hope you like them and give them a follow on bloglovin too. Speak to you in my next post, thank you for reading. Just followed your blog – you deserve so many more followers your blog is stunning! I would love if you could take a look at mine!